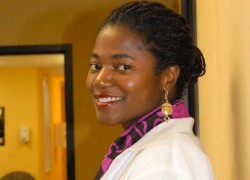 Dr. Rita Wutoh is currently the Director of the Henry Wise Student Health and Wellness Center at Bowie State University. She has served in that position since November of 2008. Prior to her arriving at Bowie State, she worked in private practice at Maryland Primary Care Physicians in Bowie, MD for three years. Dr. Wutoh received her Board Certification in Internal Medicine in 1997. In addition, Dr. Wutoh has served in a number of leadership roles including Executive Director of African Futures Forum, Inc. a nonprofit organization based in Washington D.C. dedicated to training youth in Africa and the Diaspora in health and education, Assistant Professor in Allied Health Sciences at Howard University, Fellow in International Health Policy at Millennium Challenge Corporation, and Fellow in Medical Informatics at Howard University. Dr. Wutoh has been actively involved in Women's Health for 13 years. She has received numerous grant awards for programming in tobacco cessation, women's wellness and sexual assault. Dr. Wutoh received her undergraduate degree from the University of Virginia and her medical degree from the University of Maryland. In addition, she received her Master's in Public Health from Johns Hopkins Bloomberg School of Public Health in Baltimore, MD. Dr. Wutoh has been happily married to Dr. Anthony Wutoh, who is currently Associate Dean at the School of Pharmacy at Howard University, for 11 years and they are the proud parents of two daughters, Nadya and Niya. Dr. Wutoh loves to spend time with her family, and travel to Africa. Her hobbies are collecting glass beads and crochet.